We are in grave danger! Now clearly, all of us AoT veterans are familiar with the original stop sign. Appearing maliciously across the AoT boards, the stop sign clan has been wreaking havoc in the EB games clan. But now they have taken it too far. 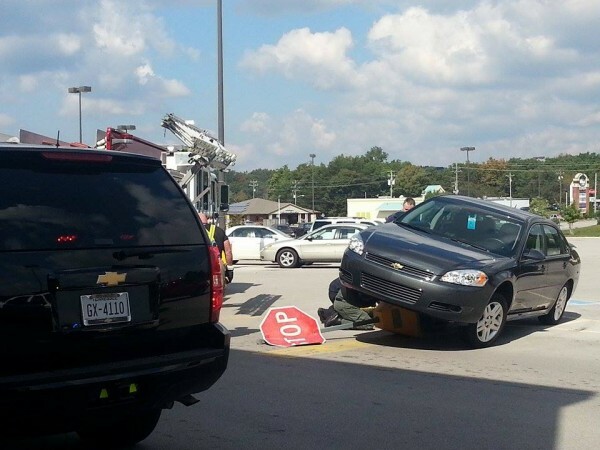 This woman being mauled by a wayward stop sign is particularly unnerving. It reveals the clan's true intent: violence. This stop sign is signifying that we can never escape their watch. We will always be surrounded. And get this, the stop signs have managed to recruit the police departments of every jurisdiction in the world. Whenever someone tries to escape stop signs, the clan deploys police officers to hunt down those that attempt to escape. They steal your money and use it to fund themselves. We need to make our move now before it's too late. We must stop the stop signs to a bring a stop to their stopping. Let's kill stop signs and take back our board! or is it a rival to all the clans?